When I got February as my month for the Monthly Mingle I knew I wanted it to tie in to Valentines day. I didn’t want it to be too cliched though and thought long and hard about what I could use that would not exclude people and what hadn’t been used before. What does Heart Healthy mean? Post about it on your blog between now and 29 February (entries must be in English, please). Hello just posted my contribution to February's Mingle. Hope it suits. 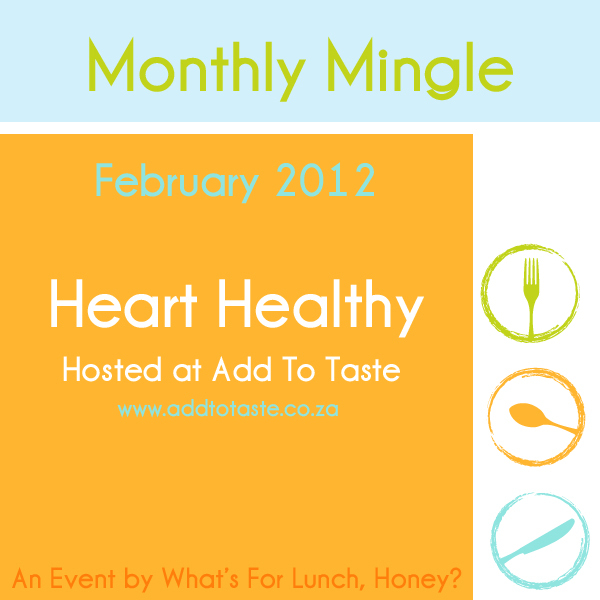 Hi, so inspired I create one more Heart Healthy entry at what-about-the-food.com Hope it works for the mingle!